It's been a few months since I did my write-up on location-based check-in services. I've been checking in pretty consistently, and the three main services that I covered have each recently announced changes. First, my experience: I chose Gowalla as my check-in app of choice, mostly because I like the colorful and attractive graphics that each category (and often individual spot) has. 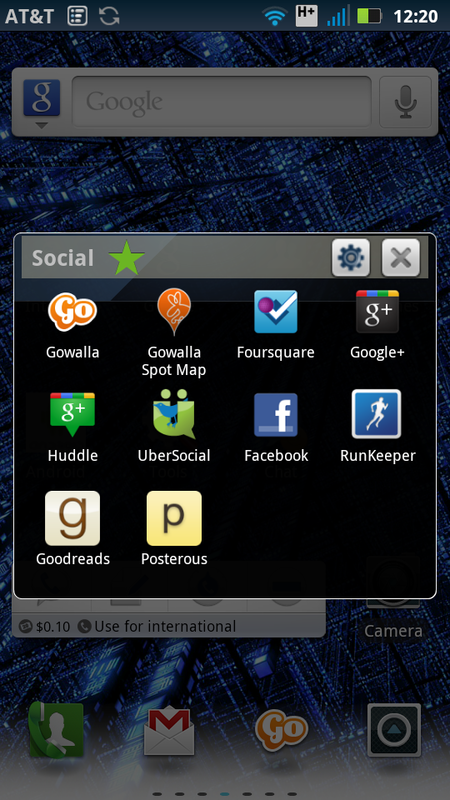 Gowalla also has the added benefit of being able to check in to Facebook and Foursquare, and show my friends' check-ins from those services. At each check-in, especially since I auto-post them to Twitter and Facebook, I try to make the post interesting by taking a picture if appropriate, and always adding some sort of comment to give it context and personality. This works pretty well, but the pictures uploaded to Gowalla are tiny. I would prefer to be able to take and upload higher-resolution shots. I would also like to be able to post pictures not taken from the Gowalla app at the time of check-in. Often it takes a while to find the correct spot, and by that time, the moment I want to capture may have passed. It would be nice to be able to whip out the phone, take a picture, and then use that with my check-in. I know you can do this with Foursquare, but Gowalla likes to provide more assurances that you are actually at the place where you check in (though anything can be faked). I've considered creating a fake camera app that would simply allow you to choose an image to "take" from the existing Gallery images. 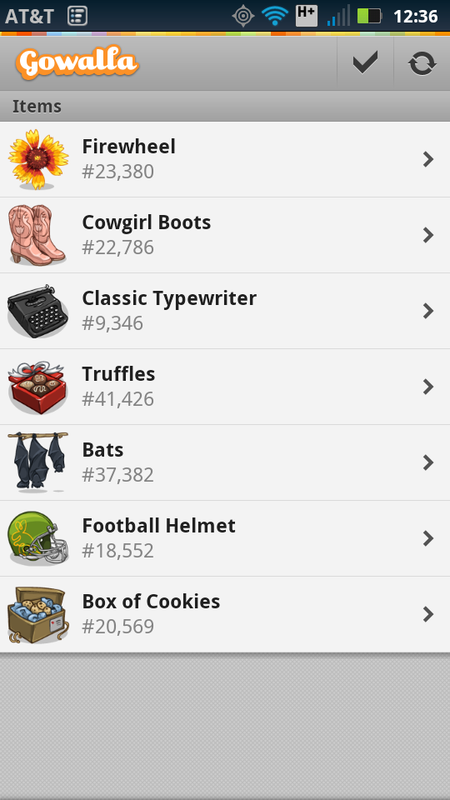 Another thing I've gotten into has been Item collecting. Occasionally when you check in, Gowalla awards you a virtual item, which can be "donated" to a spot that doesn't have too many items, or traded for an item at a spot, after you check in. This aspect of checking in appeals to the collector in me. 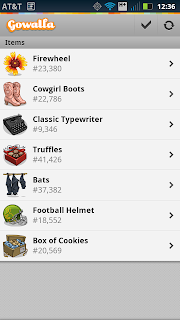 What I ended up doing was keeping those items that had had the greatest number of owners, and trading the others, in hopes of accumulating items with long and interesting histories. I was doing OK plodding along, but the items don't come too quickly, which is frustrating, and they aren't a very intuitive feature, which means that most of Gowalla's already small user base doesn't do any trading with their items. Gowalla just announced via their blog that they are going to do away with the item feature entirely in the coming months. This makes me sad, but I'm hoping that this means they have a clear and innovative vision that would clash with the item system. The post seems to imply that they have something big to offer in place of item swapping that they are not yet prepared to announce, so I'm hopeful, but I don't know whether anything they do will drastically increase their user base. Perhaps they have something in mind that will increase existing user engagement; something to do when checking in that they would prefer we do over item swapping. Perhaps Gowalla could pick up some users from Facebook Places, which is apparently becoming less of a check-in service, and more of a way to tack your location on to an existing post. I actually think this is a good idea, since most Facebook check-ins are simply a person-place-time data point, and have no user-generated content to make them interesting. Speaking of making check-ins more interesting, Foursquare recently announced that they are adding events to places, and they aren't relying on users to generate and update the schedules: they're turning to the pros. This is good news. Whereas before a typical foursquare user would check in at a movie theater or a concert hall without comment or commenting simply to mention the event, now the app presents them with a list of movies or acts that are currently showing where they are checking in, and they have the option to pick one. Hopefully this will encourage users to add details other than what they're there for, like what they think of it, or who they're with. I actually use Foursquare through Gowalla, but this feature isn't available to me, since Gowalla only maps its spots to Foursquare's venues, not the new events. If Gowalla fails to deliver on their new vision, I might find myself simply using the Foursquare app to check in. Foursquare allows you to post any picture with your checkin, including one you already took, and the Foursquare user base is much larger than Gowalla, so I have many more friends who use it. 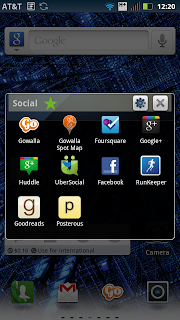 Switching would be very simple for me to do, but I would definitely miss Gowalla's colorful and cartoony icons.